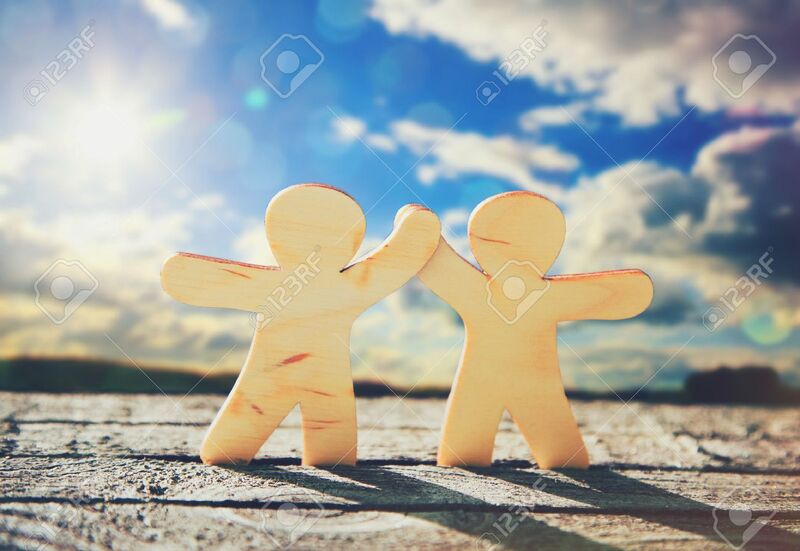 Wooden Little Men Holding Hands On Sky And Sun Background. Symbol.. Stock Photo, Picture And Royalty Free Image. Image 46651308.